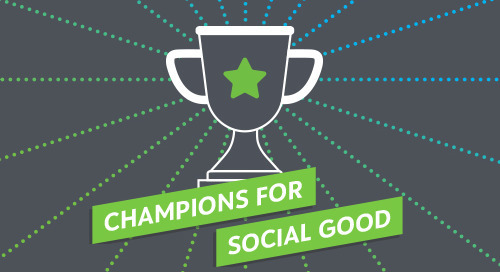 In this episode of the Champions for Social Good Podcast, Jamie Serino speaks with Brandolon Barnett, (@BrandolonB) Director, Partner Solutions at Growfund (@Growfund) with Global Impact (@charitydotorg). Brandolon tells the story of how Global Impact’s goal to democratize philanthropy led to the launch of Growfund. Growfund is, at its core, a community-based, game-changing charitable giving tool that enables ordinary people to experience the engaging experience that philanthropy creates, regardless of how much they can donate. Brandolon then draws a parallel between the democratization of philanthropy to the increased access to a variety of tools as a result of advancements in technology, such as data sharing and impact measurement. Brandolon and Jamie also discuss the debate around donor advised funds (DAFs) and explore the question of if making DAFs more accessible to everyday people, not just wealthy investors, would increase their efficacy and ease the polarity around DAFs. Lastly, the effect of the millennial philanthropic mindset along with the shift in CSR programs to place a greater priority on employee engagement is explored. Click here to listen to full podcast transcript!